Spoonflower is getting ready to have their annual free swatch day on August 18th. Every year, they do this to help raise money for Heifer.org, they will mail you a swatch of fabric, but if you'd like to make a donation, the money goes the charity. The swatch I'm getting this year is this design, and after I get the swatch and approve it, the fabric will be for sale at Spoonflower. 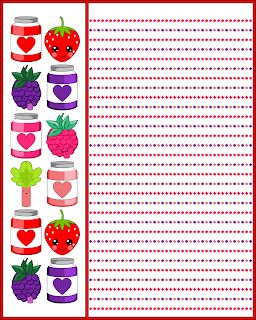 Since I decided I really liked the layout, I made a printable recipe page using it. I hope you enjoy this. Click on the image for the larger version. The dots are spaced approximately 1/3 of an inch apart for the lines. 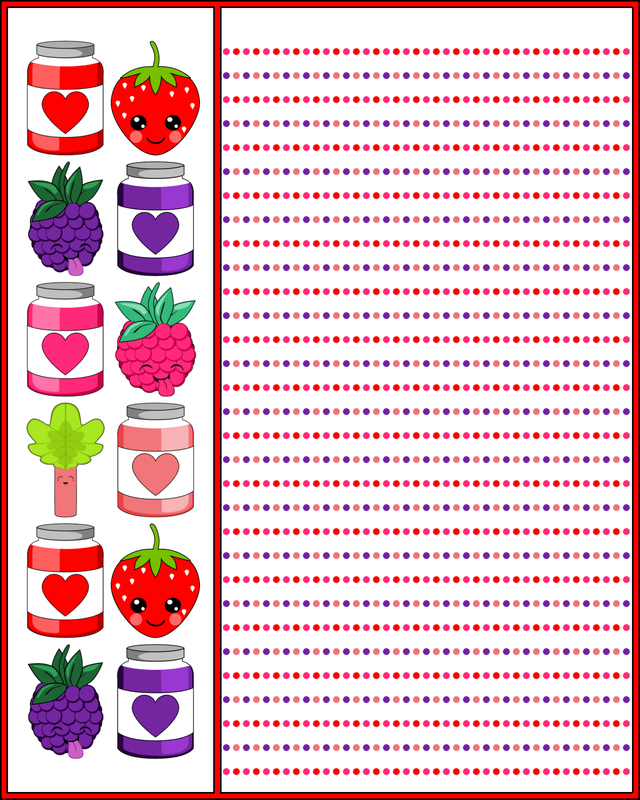 Lots more printable jelly things and recipes pages on Don't Eat the Paste.